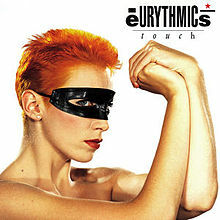 Touch is the third studio album by the British new wave duo Eurythmics, released on 14 November 1983. The album was the duo's first UK number-one album, and also reached the top 10 in the US. It has since been certified Platinum in both the UK and the US. The album was listed in Rolling Stone's The 500 Greatest Albums of All Time in 2003, and again in a revised list in 2012.